Coral Honeysuckle is ready to flower pretty much before your lawn wakes up. It's not aggressive, hummingbirds love it, and I don't have a single negative thing to say about it. 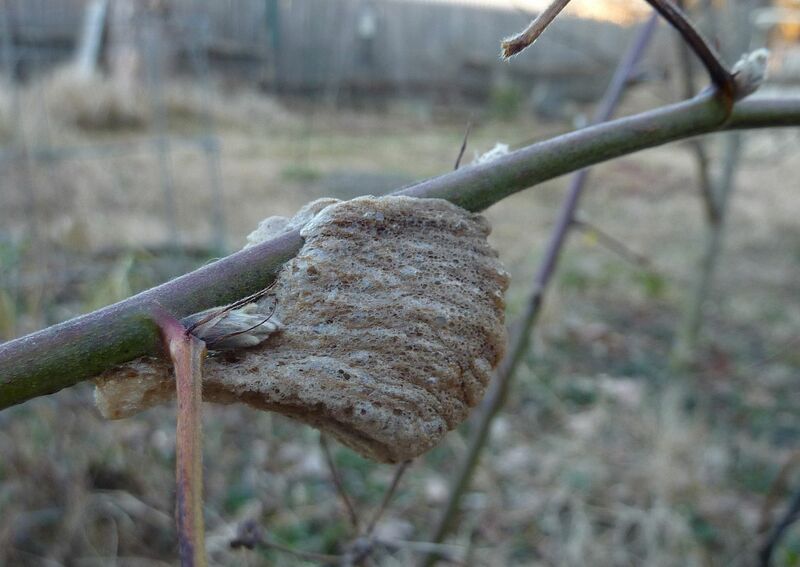 Mantis eggs were scattered all over the yard this year. I'm usually outside doing something else when I come across them and it never fails to make me laugh. I think part of it is realizing some people pay money for them. The first warm day of the year proved too dry for the Winter Ants to fly, so instead I found patches of Skunk Cabbage in bloom. There were flies and beetles crawling about them. Documentaries like to highlight that "when the flower closes it becomes the tomb for the insects within!" And they never mention that the flower hood also rots away, and usually has several holes in them already by the time they close. 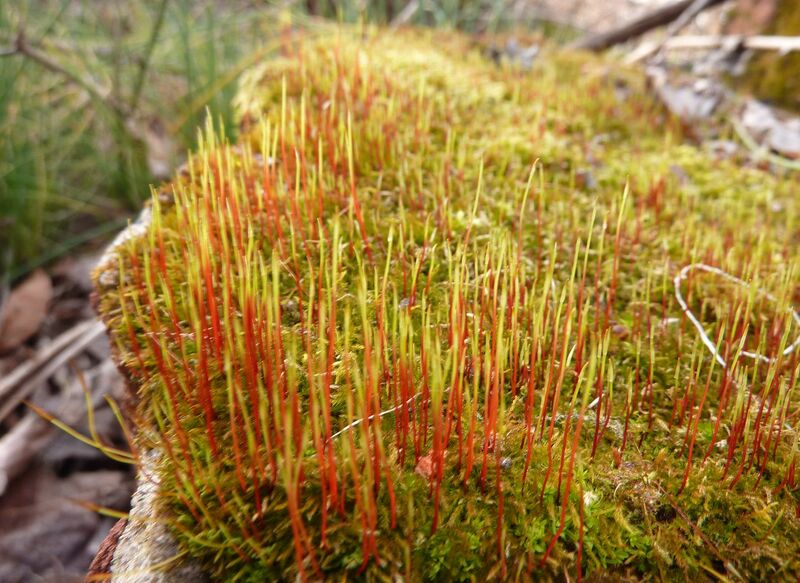 Moss flowers... or flower stems, I don't know what's going on here actually but it's neat. 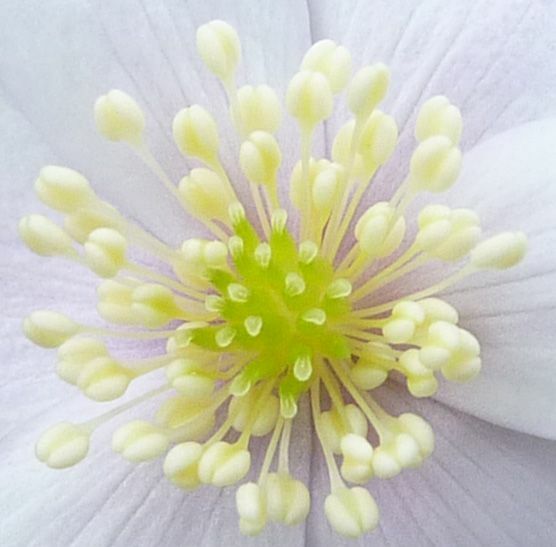 A close up of a Hepatica flower. 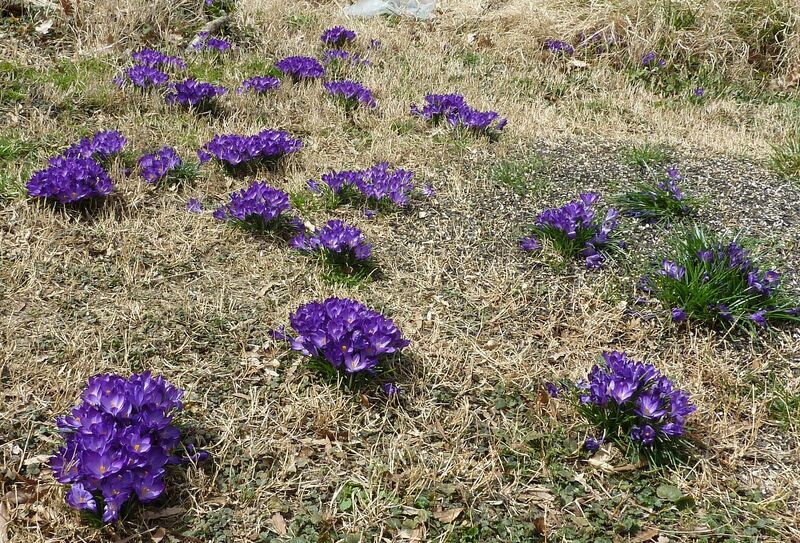 The crocuses in our lawn are well established and among the first to flower each year. I rearranged them to form a circle after they flowered so hopefully they look neat this year. 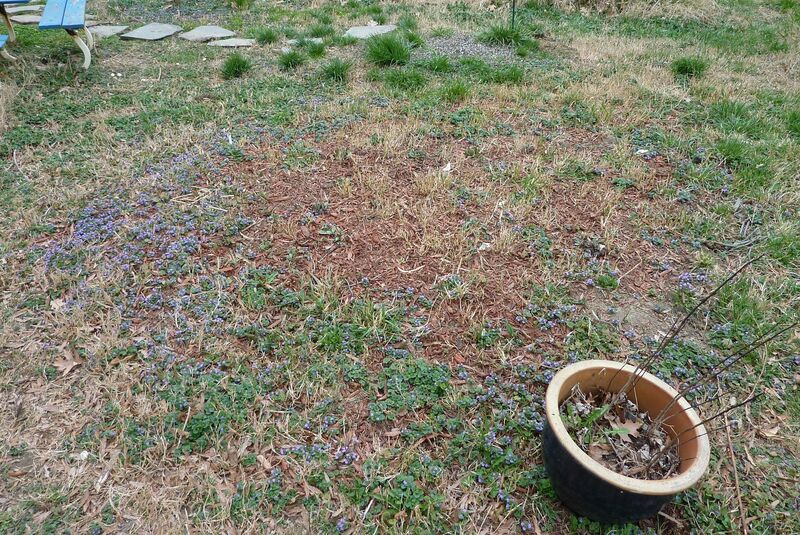 I could see doing a whole lawn with nothing but crocuses just to see how that goes. 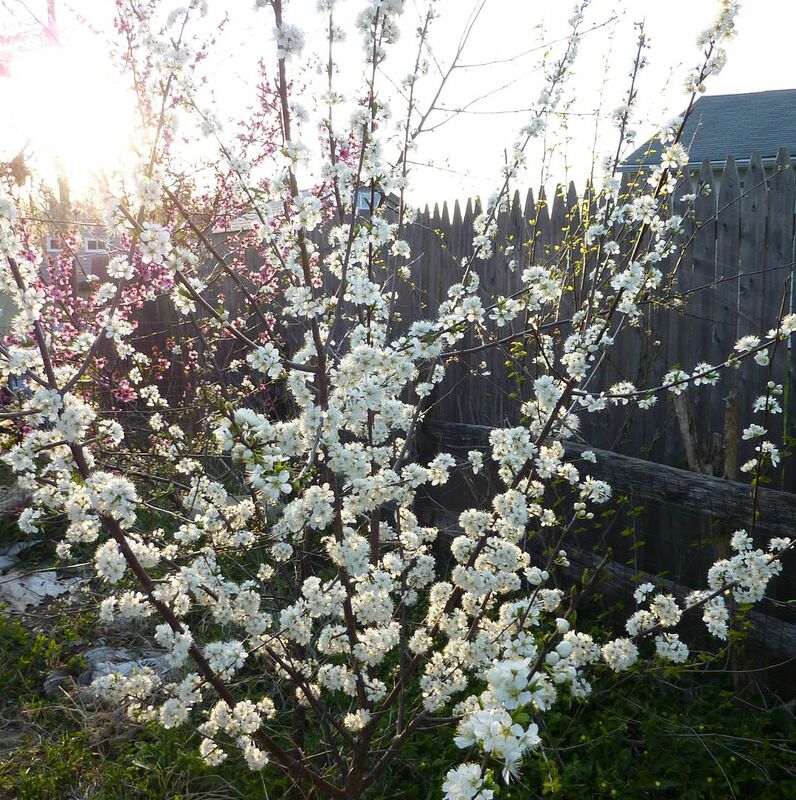 Spring Beauty is anther native I planted years ago. They're producing more flowers and spreading slowly so that's a good sign. 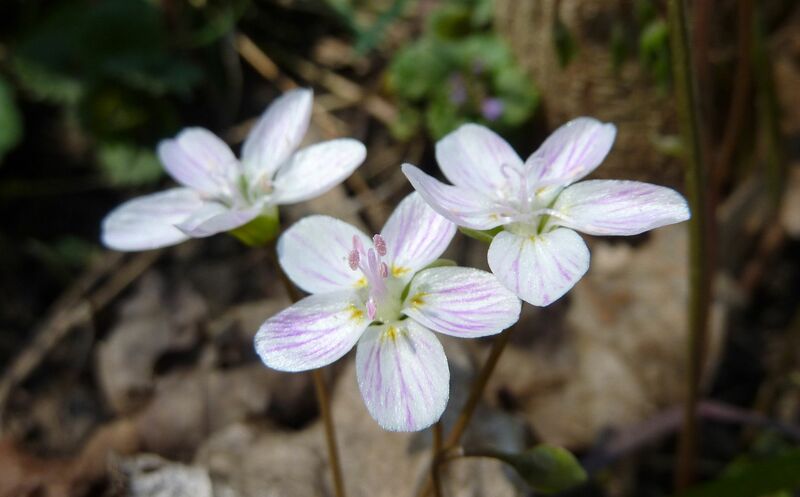 This is another plant I'd love to have in a lawn mix. 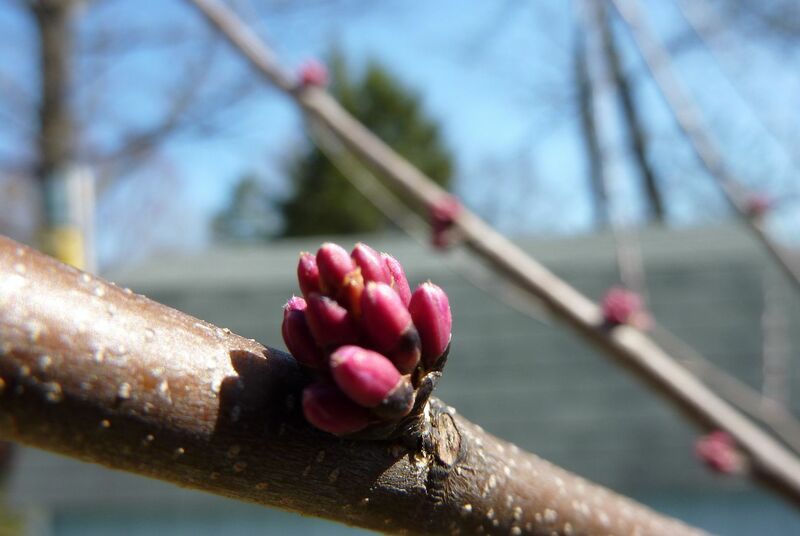 This was the first year our Eastern Redbud flowered. Somewhere I read that you can eat the blooms so I couldn't help but give one a try... won't be doing that again. 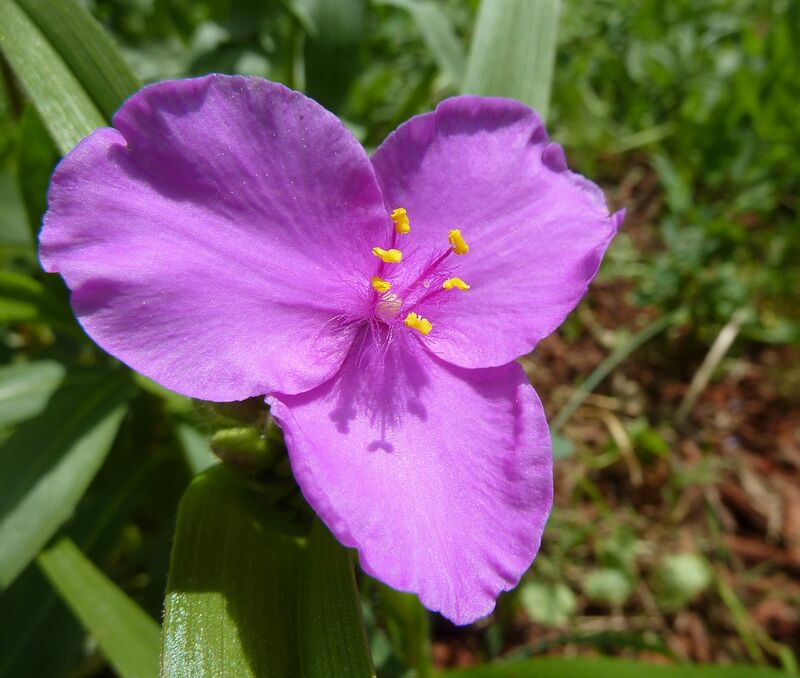 Flower petals lack any sort of crunch and the more solid bits are thread-like and unable to be chewed. They taste nothing like peas, (certainly not like the peas I grow!) so I don't know who started that rumor. 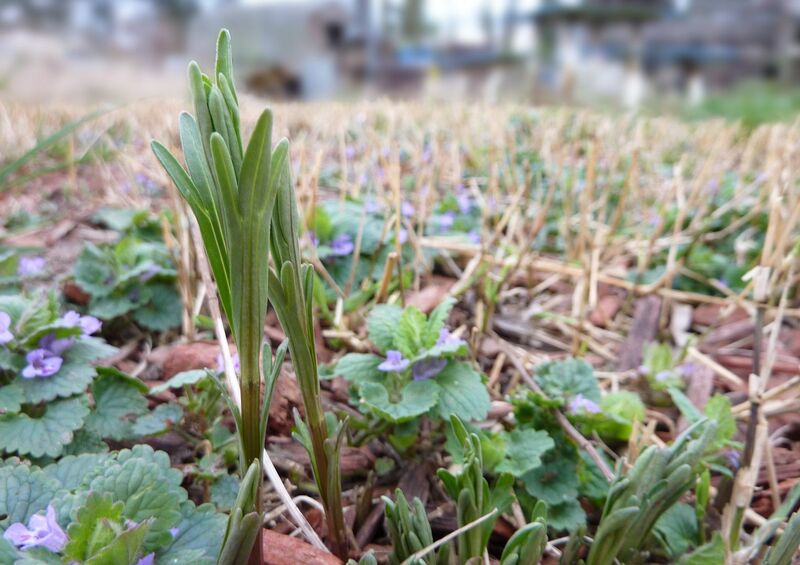 I freshly mowed the meadow garden toward the end of February. Creeping Charlie is a nonnative creeping mint plant someone introduced as a ground cover, and they've spread so much all over the yard that I'm sure I can probably follow my plants back to the original garden that planted them somewhere in the US. They don't stop the natives I planted from coming up so I tolerate them for now. I'd be happier with violets or wild ginger maybe. 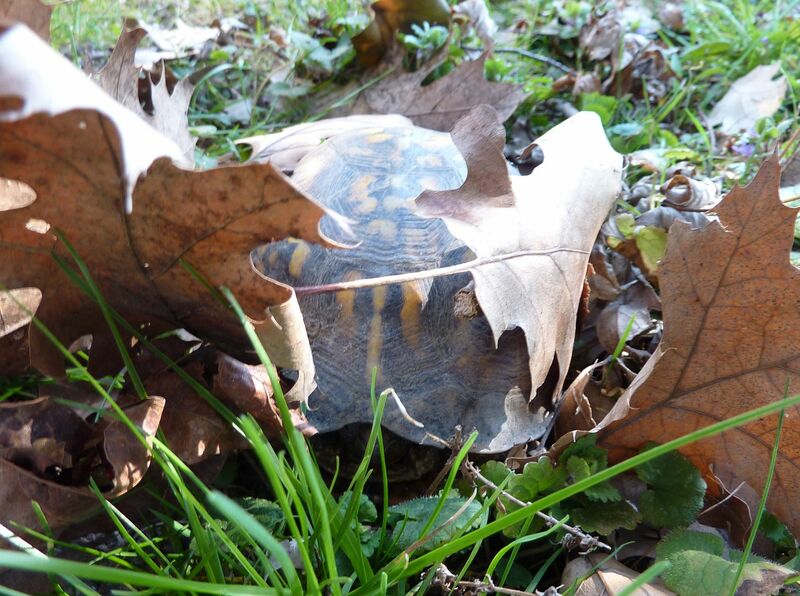 We found a female box turtle in the yard this year! And I almost ran her over with the lawn mower. Actually the lawn mower stalled and I had to get my mom to come fix it... so she comes over and says "What's that?" Right in front of the lawn mower was this turtle in the leaves. 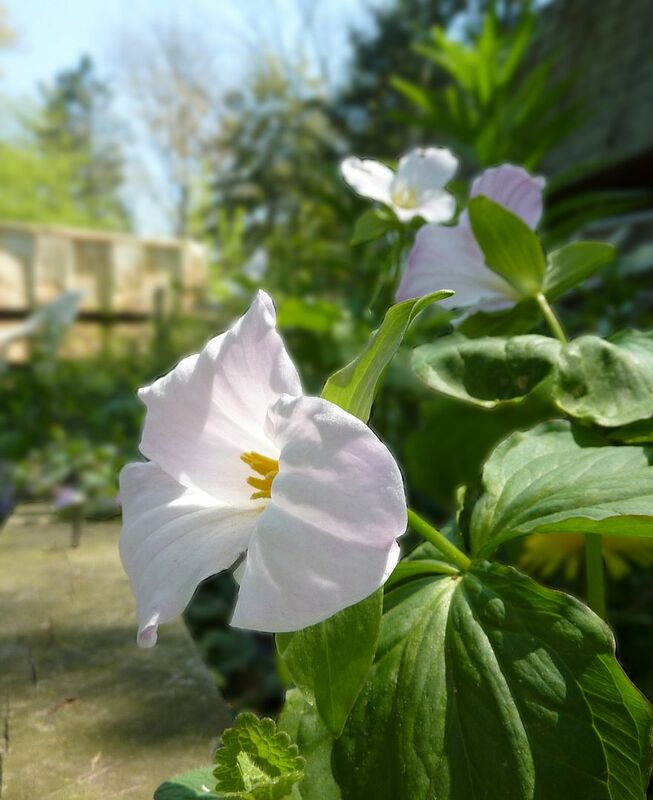 Trilliums did good this year too. 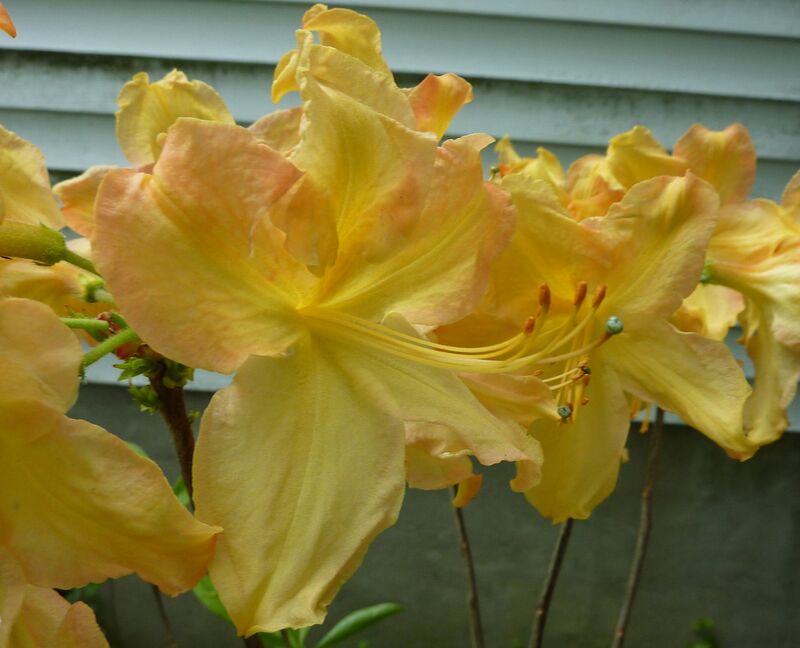 My neighbor has come to love T. luteum for it's sweet orange-like scent. 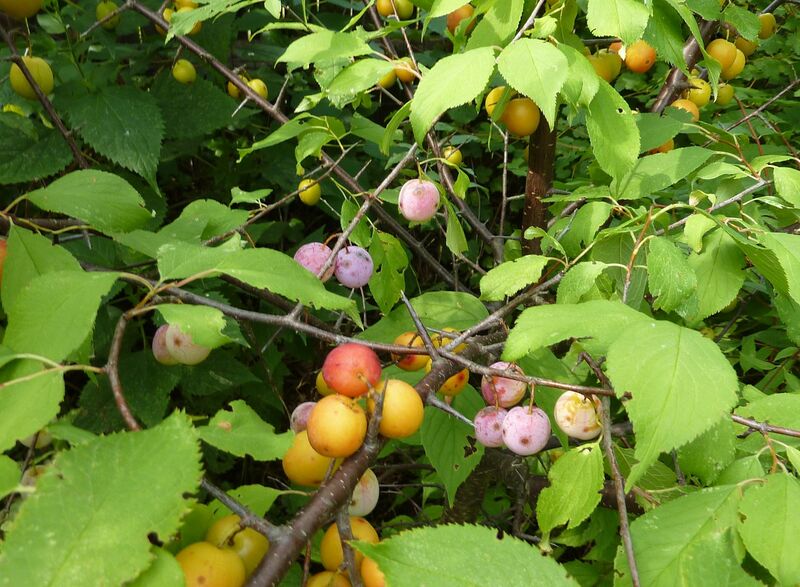 This was also a fantastic year for native plums. I don't know if I'm supposed to prune off the spikes now, (where the flowers and fruit develop). I guess not, because it didn't produce any new ones. 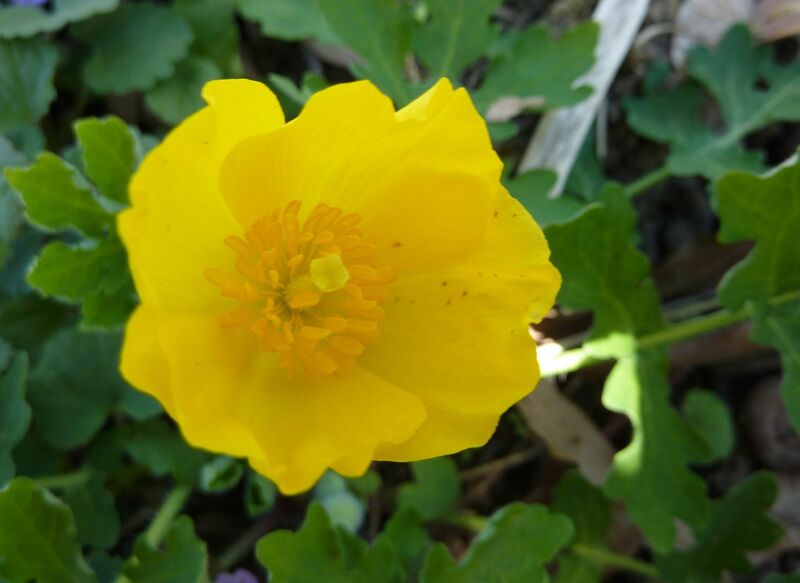 Woodland Poppies also did fantastic. 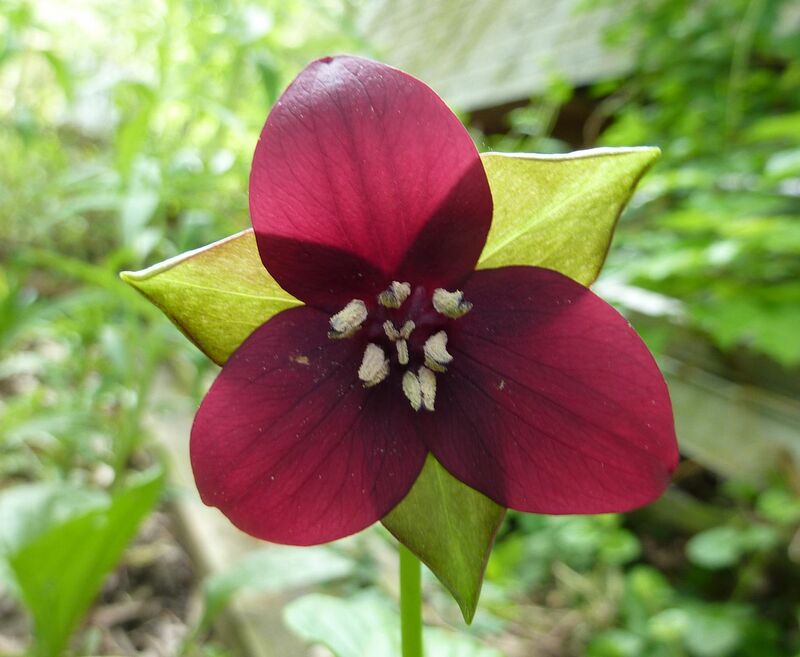 I came to realize they're 100 times easier to grow than Trilliums, flower sooner in the year, and set seed only a month later while they're still flowering. Their seeds are coated in elaiosome packets which are distributed by ants; as I'm sure a lot of you are aware of my fondness toward them. 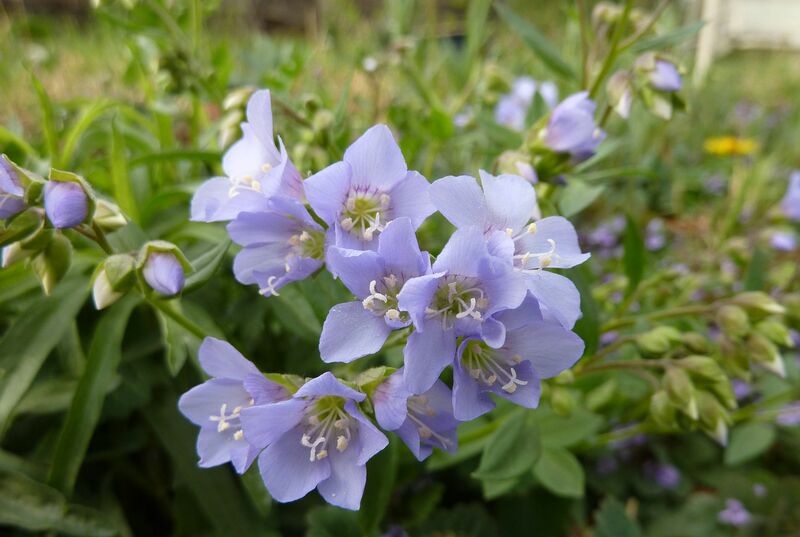 Jacob's Ladder is getting established too but I think I still need to plant more of them to make a good impact. 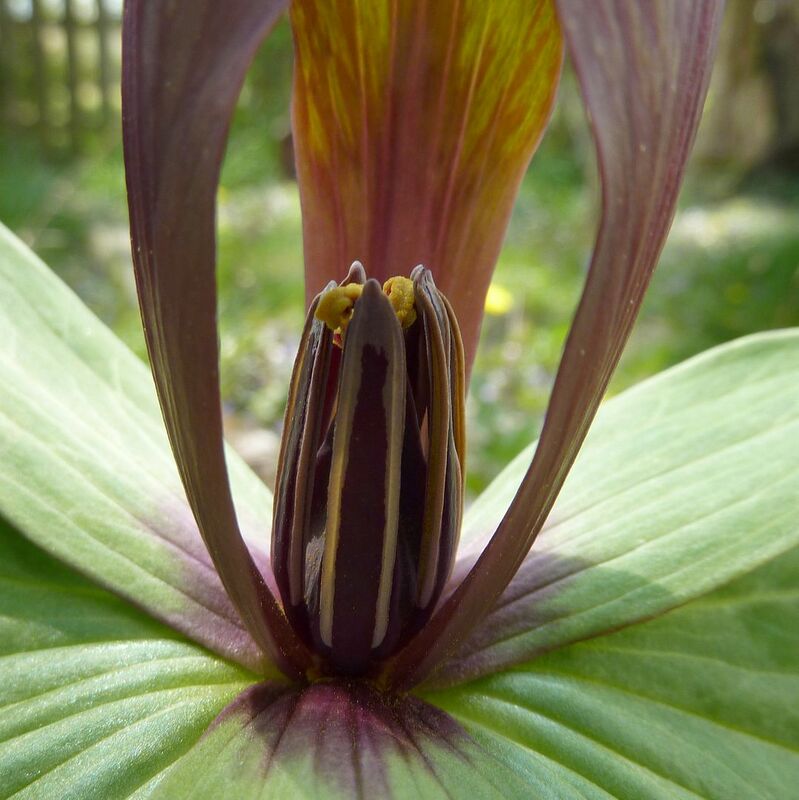 Trillium erectum flowered for the first time this year. I think the wrong soil pH is what's kept it from doing so all these years. 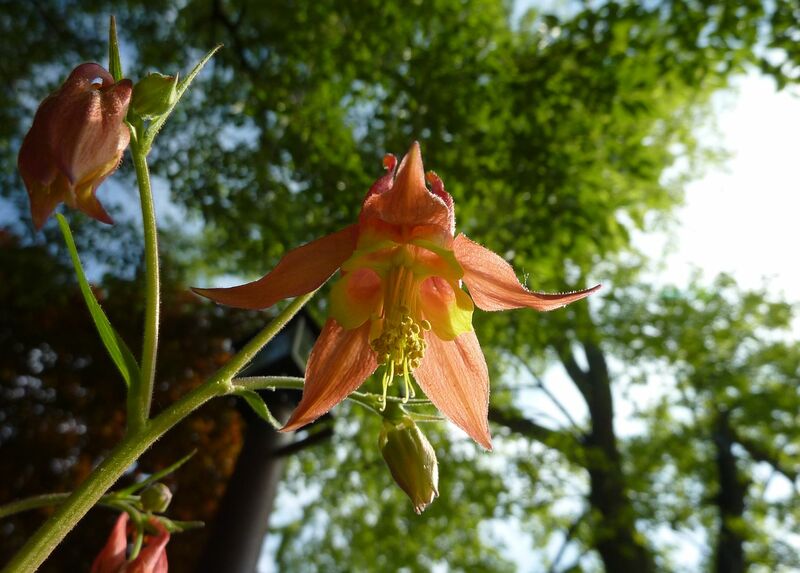 Wild Columbine. One of the few natives that's spreading prolifically in my yard. I'm starting to find seedlings coming up here and there after I spread them around. 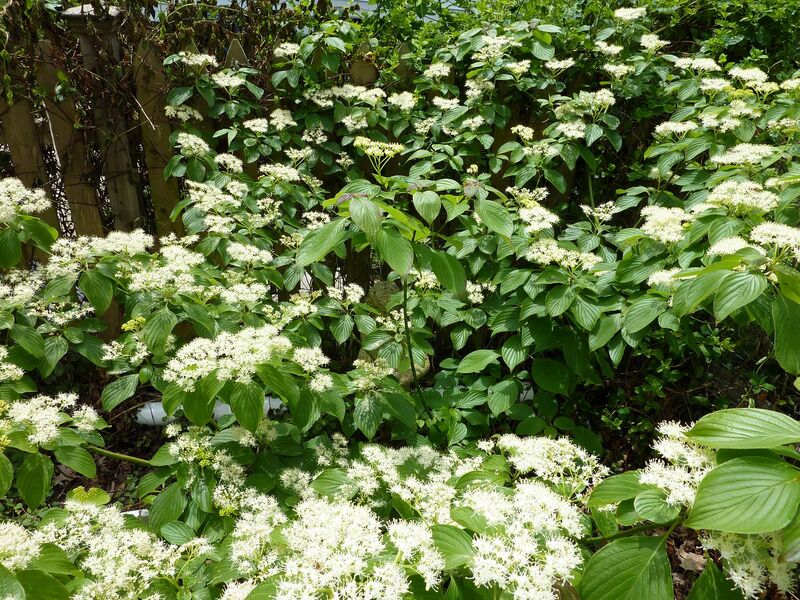 Cornus alterniflora is another first year bloomer. Can't wait for next year. Flame Azaleas, they actually took a year of blooming off last year, I was glad they came back to flower this past spring. 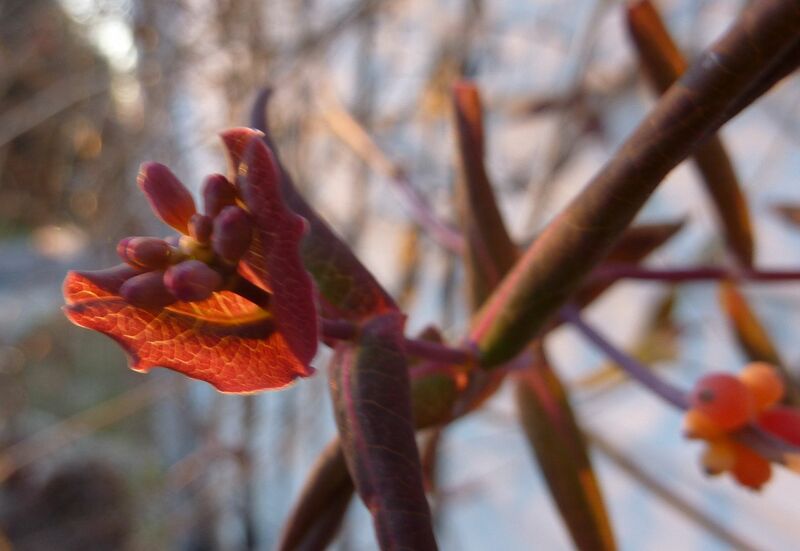 There are flower buds on there again so I should see them again next spring. 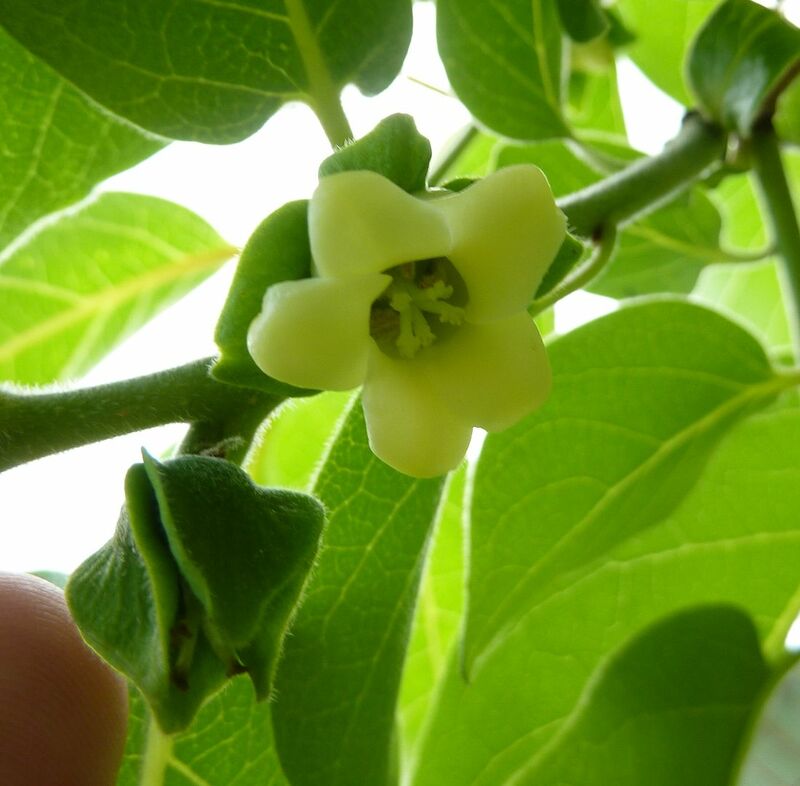 The Persimmon Tree also flowered, and I'd have taken pictures of the fruit and gotten to taste one if not for Hurricane Sandy. 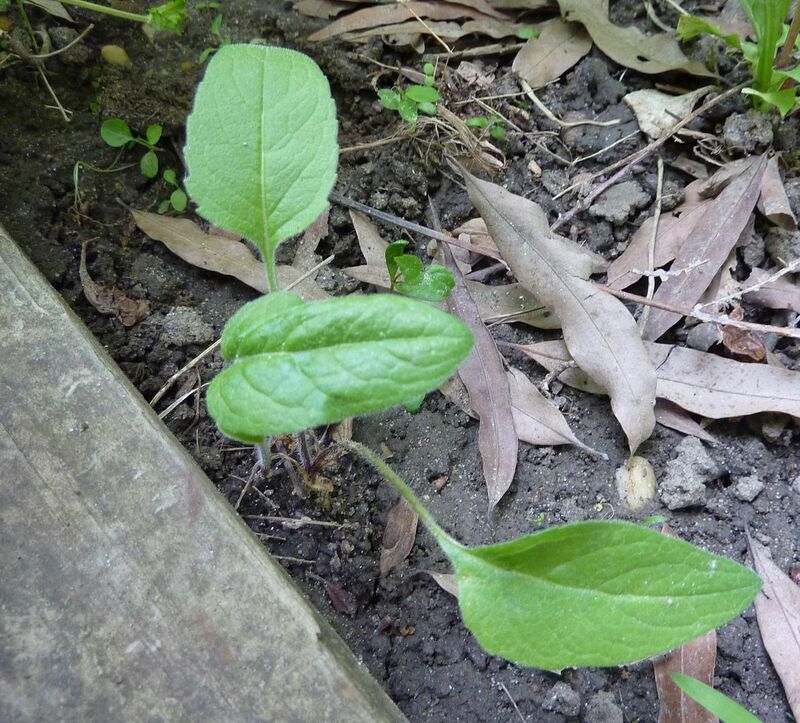 Cup Plant seedlings in the Trillium Garden... I think I need to move one or the other because I don't like this. 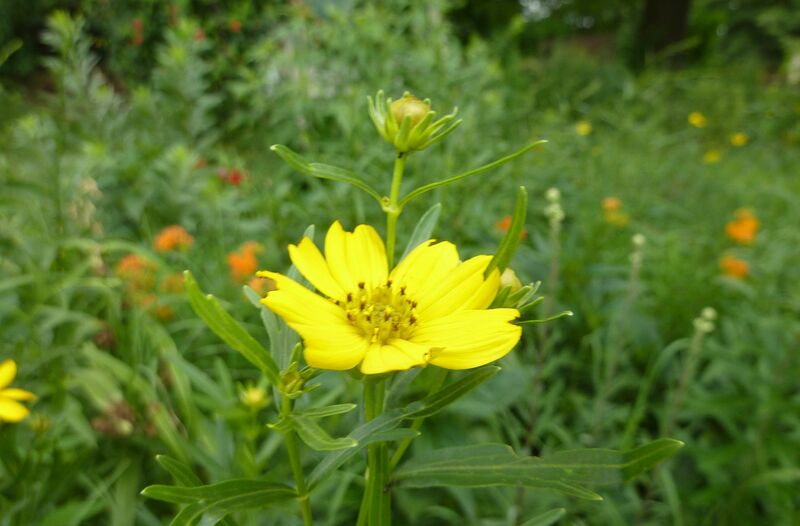 Coreopsis and Butterflyweed produced stronger floral displays but are still short of satisfying my need of wildflowers. I want to go out there one year and see nothing but orange and yellow. 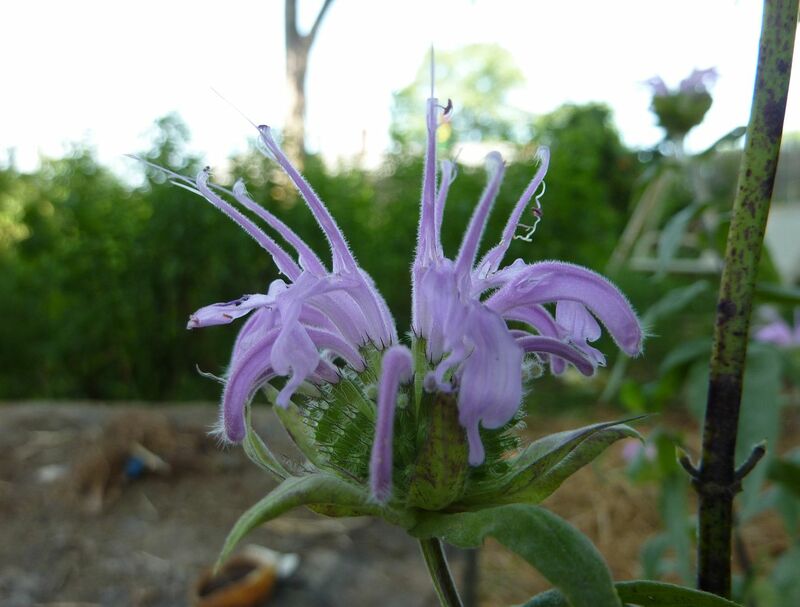 Wild Bergamot, Monarda fistulosa, flowered this year for the first time too. I got this plant years ago free from a Mt. Cuba Center course. I put it in a shady spot so it wouldn't take over but now I'm realizing that might be a mistake. This plant isn't as aggressive as I'd assumed and I'm willing to move it someplace sunnier to see if that changes. 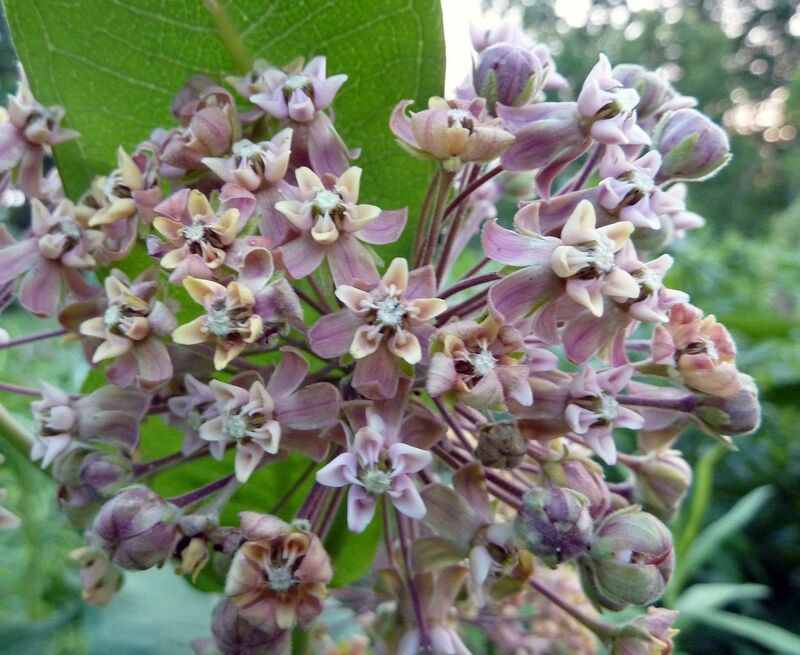 I was up close to some Common Milkweed earlier in year. I always assumed the flowers were pink but really they're somewhat tie-dyed with hues of purple and brown running throughout. 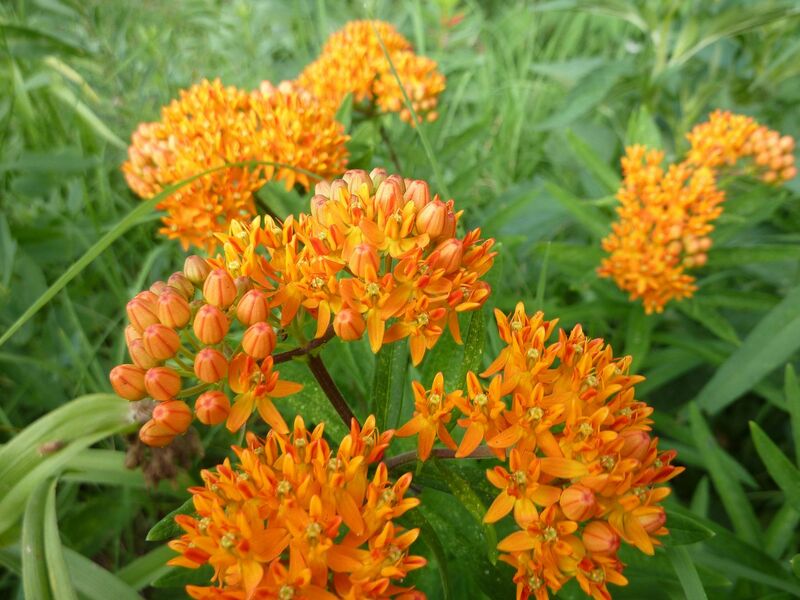 The Butterfly Weed is maturing nicely. They're all producing more flowers and bigger plants which is always a good sign. Sometimes I buy a plant and find next year it isn't half as big was when I planted it. I have a native Hibiscus that's supposed to get 8' tall but struggles to reach 3' and the flowers never last long enough to seed. Wheel Bugs hatched out on a Flee Bane or False Aster (I didn't plant it,) and started consuming the aphids on adjacent leaves. 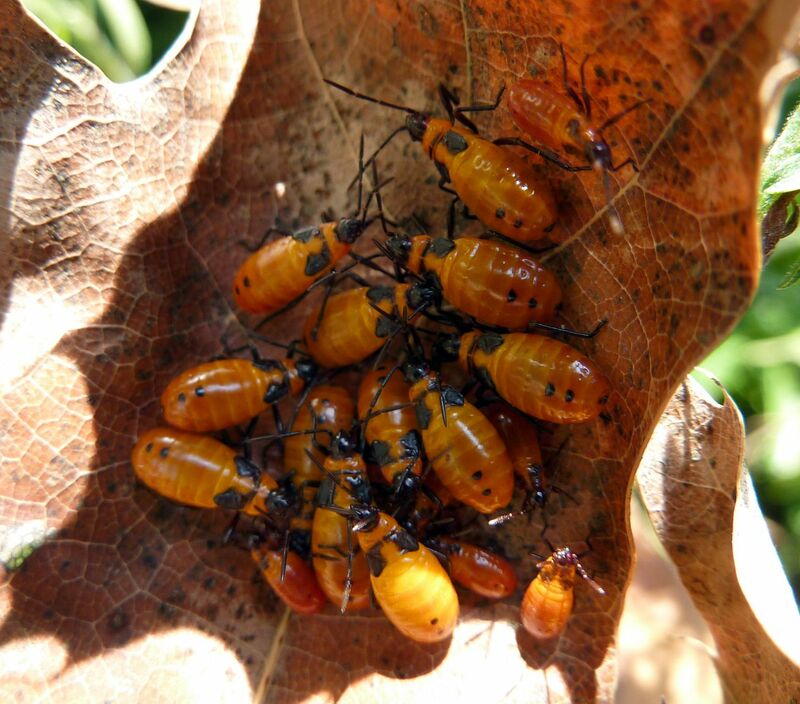 The larger form of these insects are large, stink bug looking predators of other insects. Honeybees included! 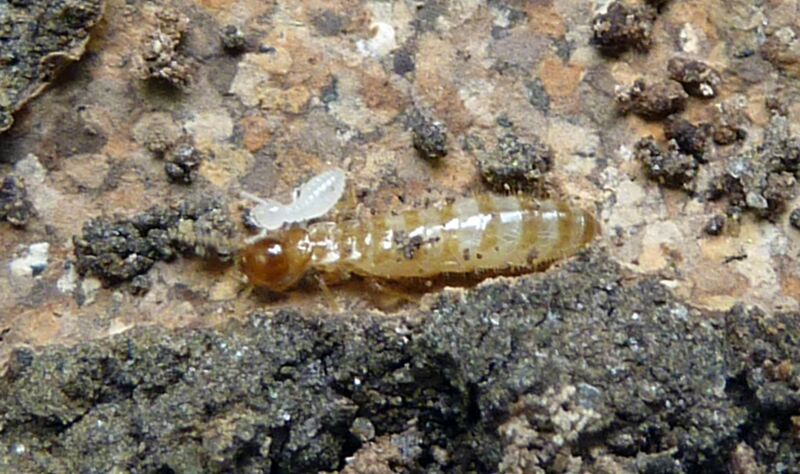 One of the termite colonies in my yard has entered into old age. 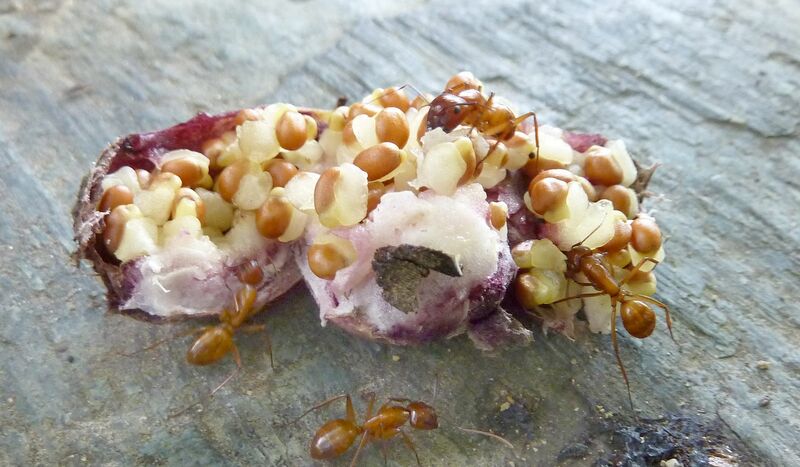 Individual colonies are started by solitary founding queens, but after they die workers attempt to replace her by making new queens that inbreed within the nest resulting in hundreds of queens. While this builds security in the colony it doesn't necessarily mean the colony will be larger. They're still bringing in the same amount of food after all. 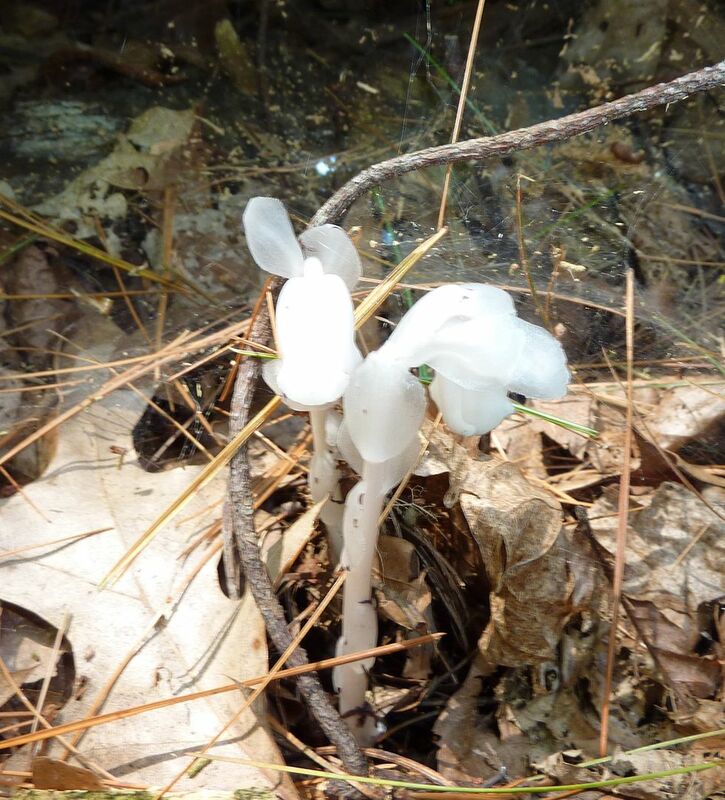 Indian Pipe came up at the Rancocas Nature Center, which has sadly announced it will be closing at the end of the year (not their decision I've read, just lack of funds). 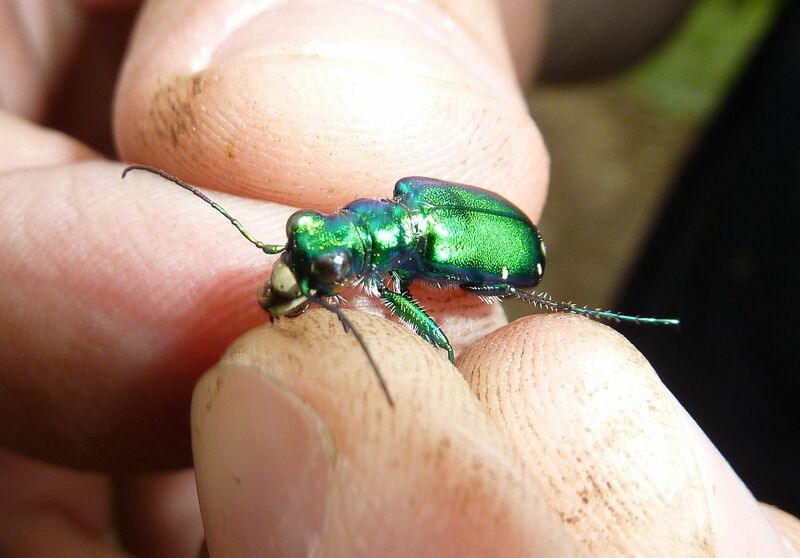 The Six Spotted Tiger Beetle, Cicindela sexguttata, is an insect predator both as adult and as a grub. Grubs lay motionless in burrows, like ant-lions and trap door spiders, and pounce at anything walking by. 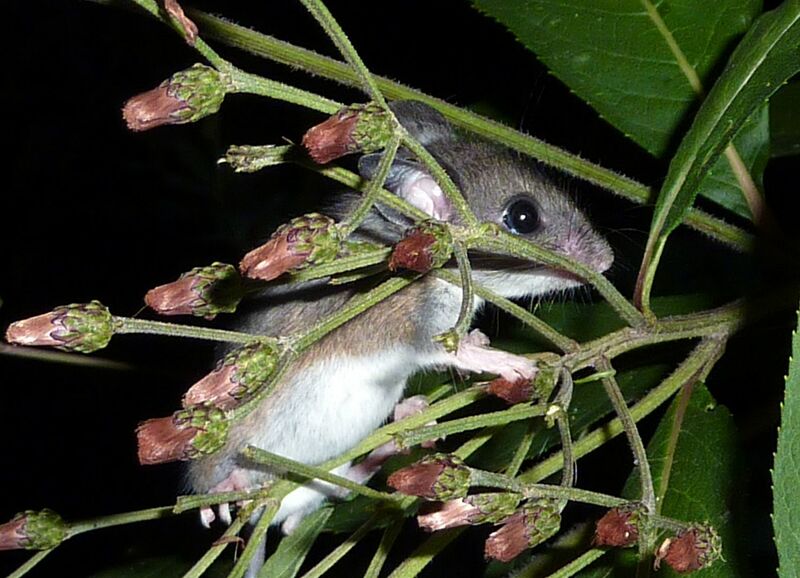 As plants in the garden and little meadow go to seed, there's a noticeable increase in field mice. A few scurry into our kitchen but they're caught easily enough and thrown back outside. The Native Plums ripened with good force. The only spraying I did to the trees was a fungicide once every 14 days (they recommend once every 10 on the bottle). I'm not sure that I needed to but I know our Peach and Nectarine Trees are in the same genus and I never get any fruit off of them partly because of a fungus that makes crystal-like structures on the skins and then later squirrels get them. The squirrels didn't touch the plums so that's a blessing. 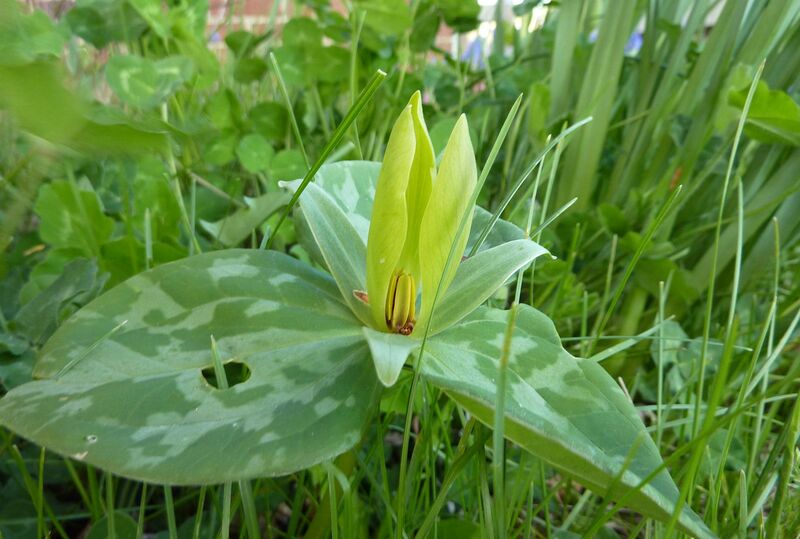 Playing with Trillium seeds is something I look forward to each August. The ants are always fascinating to observe. 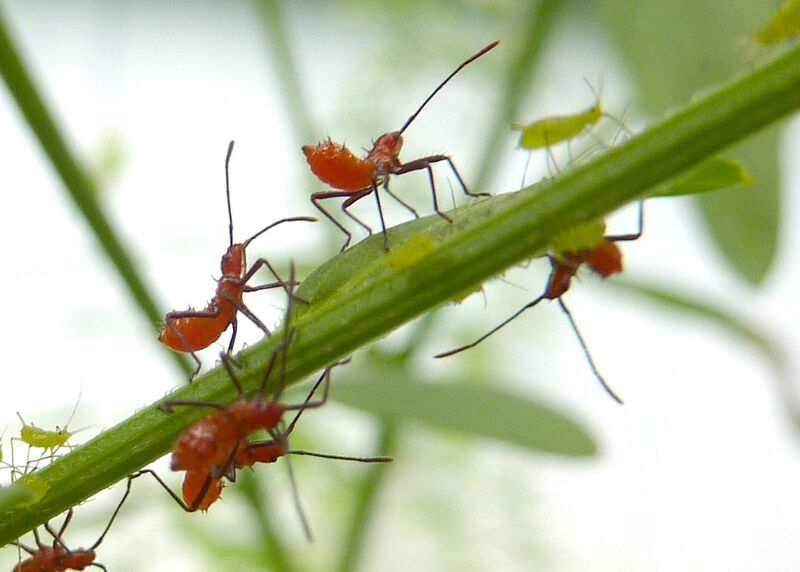 Milkweed Bugs are very common seed sucking insects of milkweed plants. 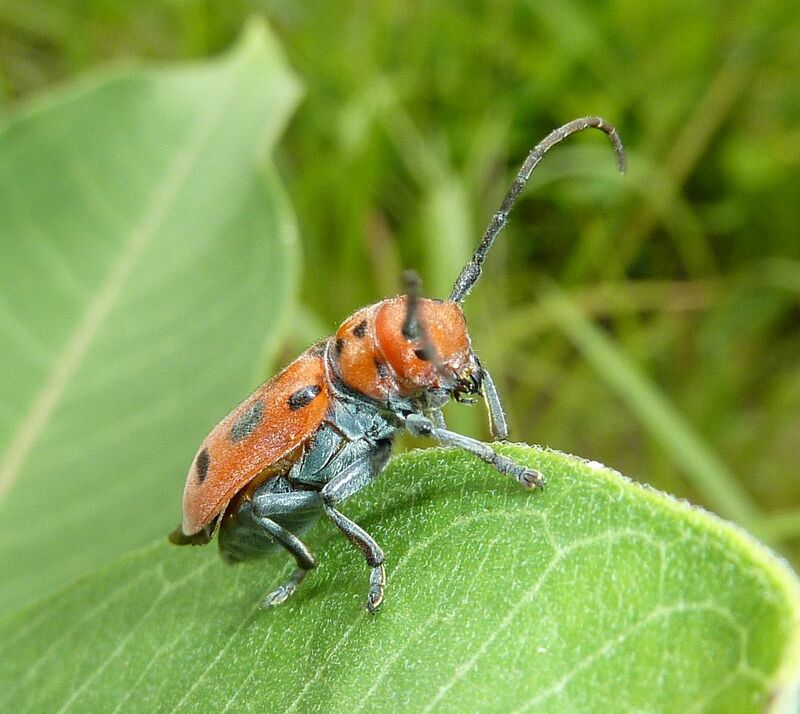 The Four-eyed Milkweed Beetle, Tetraopes tetrophthalmus, is a beetle drawn in by milkweed plants. The common name refers to the four compound eyes they have; the antenna sockets actually come out of where the middle of a single compound eye should be, thus separating each one into two. 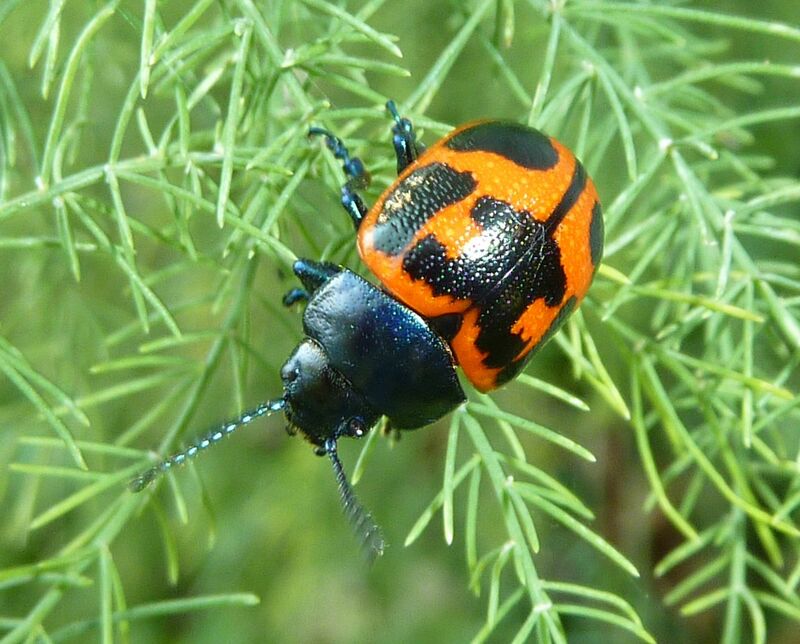 The Swamp Milkweed Leaf Beetle, eats the leaves of Swamp Milkweed, Asclepias incarnata and occasionally Common Milkweed too, A. syriaca. They're not always on the plant but it's what you need in order to attract them. A Black and White Warbler was at our feeder during their fall migration. I'm not that big into birds but this was a neat one to see. 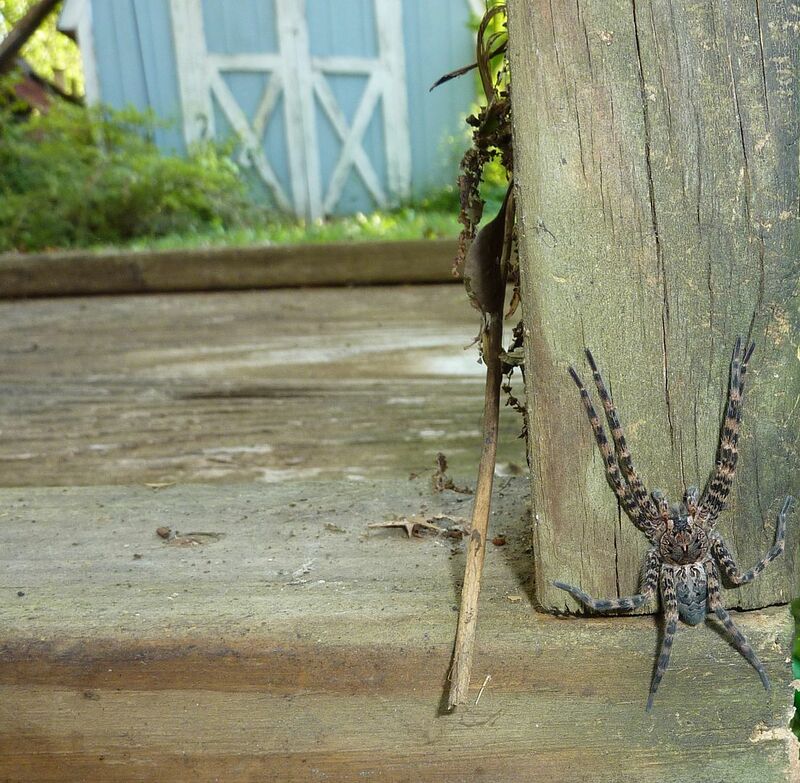 This giant spider is a new species to my yard, at least to my knowledge. Considering its massive size I can honestly say I'll be happy if it's the last one I see too. 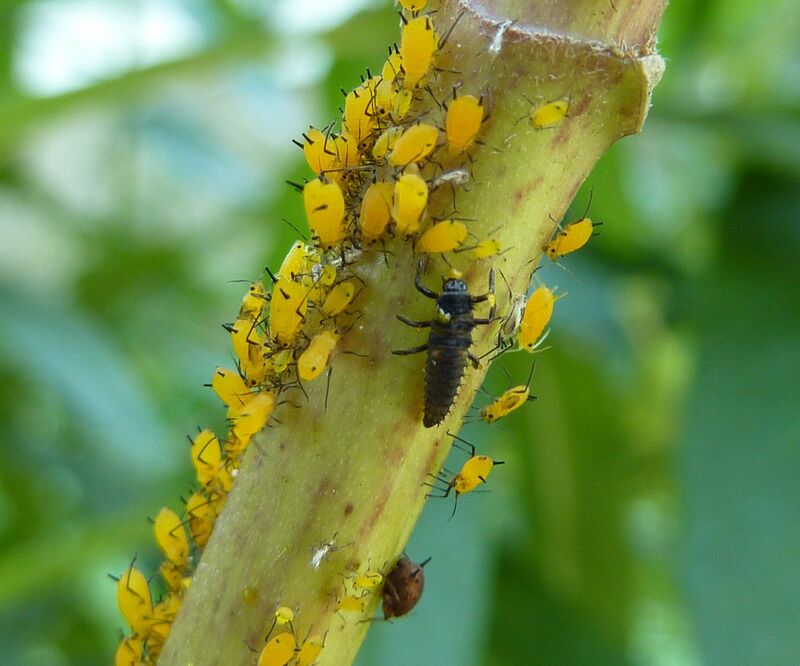 I don't notice a whole lot eating Oleander Aphids on milkweed, nor do I see a lot of lady beetle grubs this late in the year. 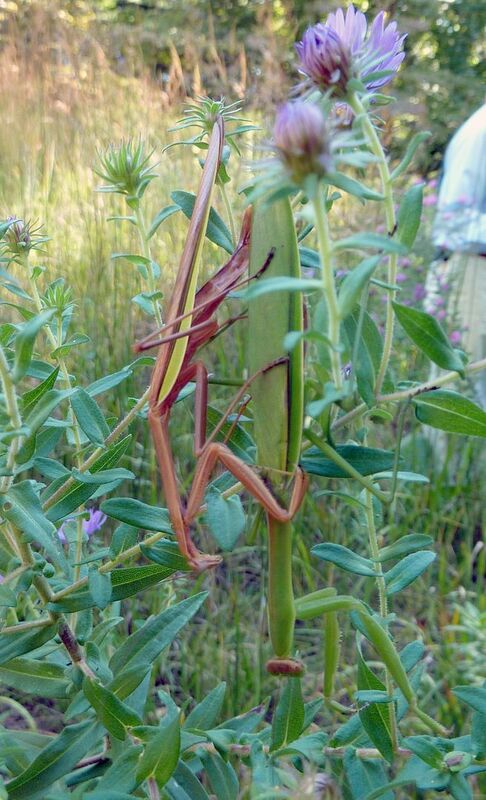 Praying Mantises at the Mt. Cuba Center finishing their life cycle.... well the male is at least. The female needs to start laying eggs. 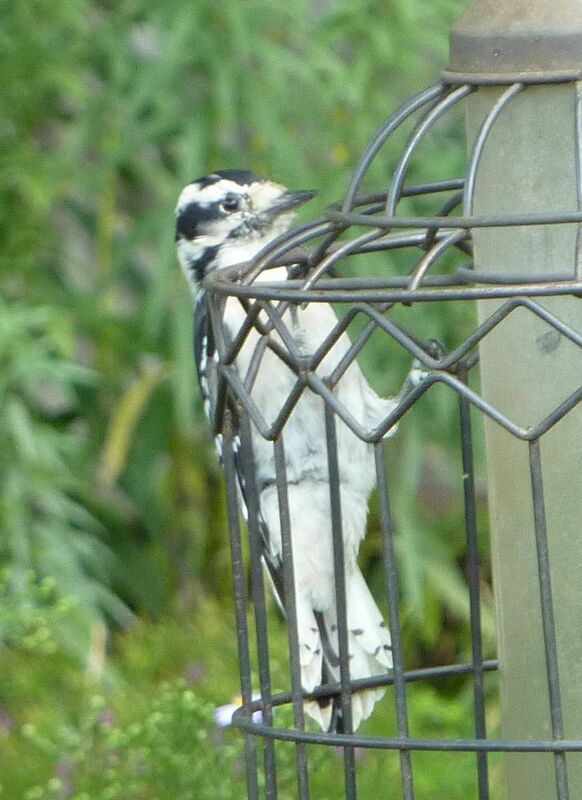 This photo won me a bird house over at the Wildlife Gardeners forum. I love it and I'll be hanging it up next year. 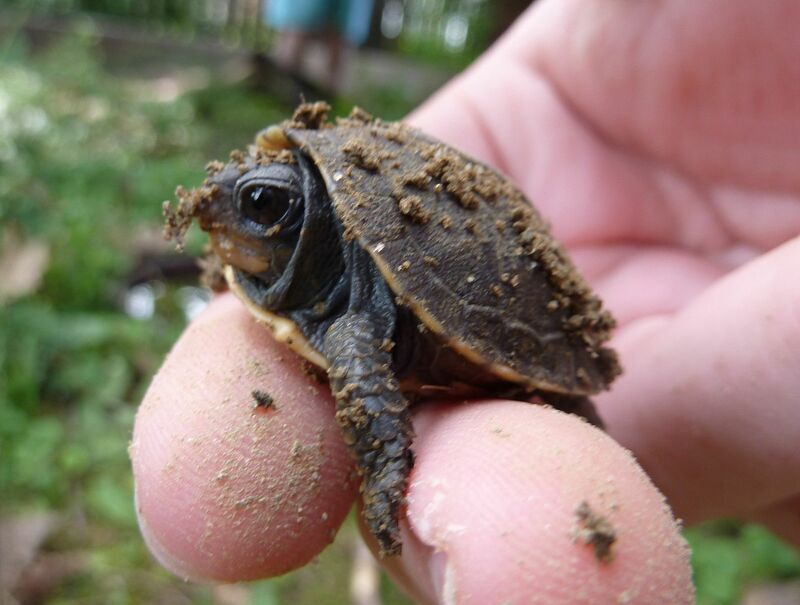 The female box turtle from earlier in the year apparently deposited an egg. 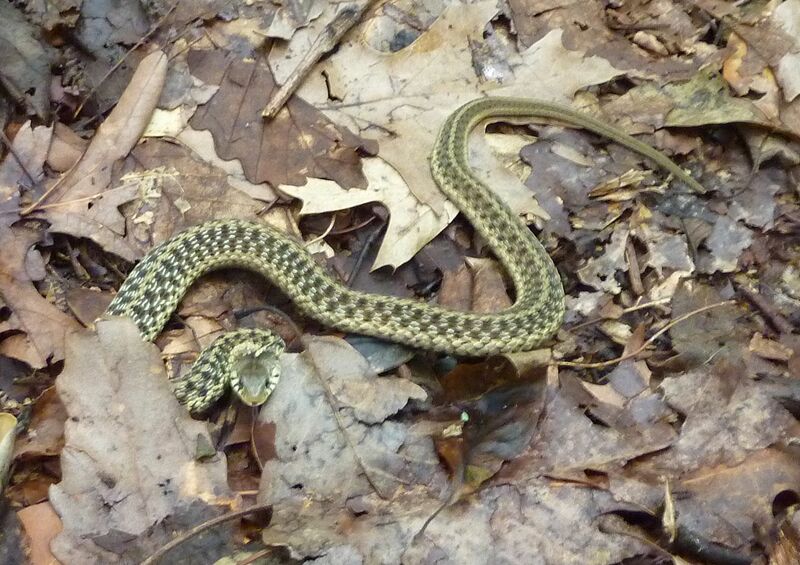 Sometime in August we discovered a hatching that was barely bigger than a quarter. 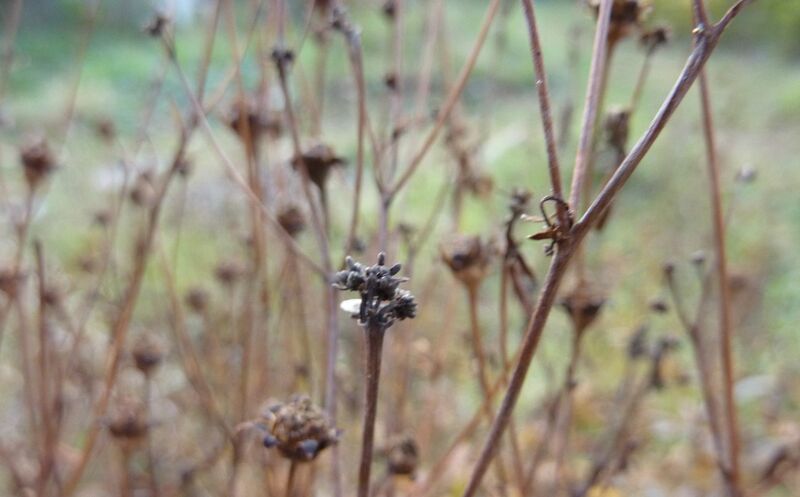 Tall Coreopsis seed heads. 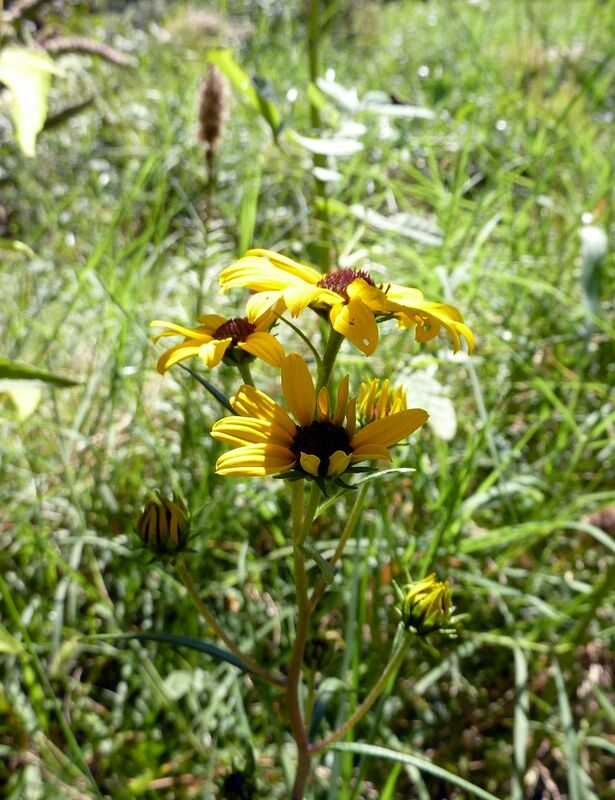 This was one of the last plants to flower in my meadow garden. They spread in a semi-aggressive manner by rhizomes but are easily thinned out and transplanted. I've noticed that some plants don't get to be taller than 3' while others can grow to be taller than 7', and their height of their shoots seems consistent with individual clumps. 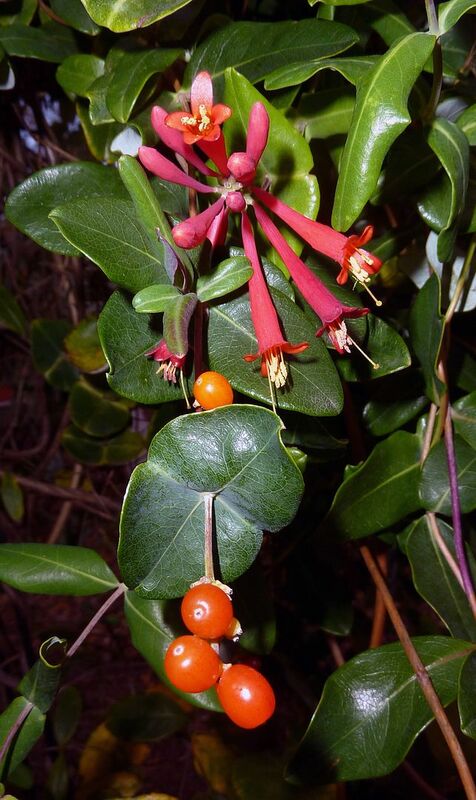 There are only a few months of the year when our native Coral Honeysuckle isn't blooming, and December isn't one of them. I think the only thing that prevented this plant from being incorporated into wreaths is the fact that it isn't that good of a cut flower. Wow. I have a feeling you notice a lot of treasures that other folks (myself included) would tend to overlook. I'm happy I found your blog and plan to read and visit regularly in the future. Great photos. I need to start paying more attention to our bugs.